As with any other physical aspect of the body, mental functioning tends to weaken when faced with various forms of stress including everything from simple fatigue to degeneration linked to ageing. Master herbalists have long known that our capacity for focused concentration, clear thinking, and accurate recall can be supported and even enhanced with an appropriate mix of herbs that help meet the brain's critical need for optimal blood circulation, and help protect our precious cerebral tissue from free radical damage associated with mental decline. GNLD's Mind Enhancement Complex supplement promotes a "normalizing effect" on the nervous system, helping to stabilize and enhance mental function to promote peak mental performance and acuity. This is a good GNLD supplement for pateint recovering from stroke and coma. 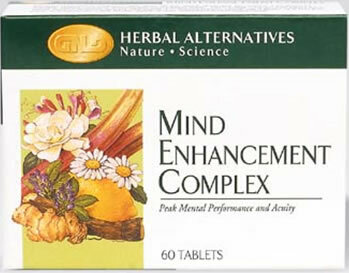 GNLD Mind Enhancement herbal remedy is a poweful supplementary pill for the improvement of the memory, brain booster, and for prompt recall. Because herbs are nature's solution to wellness challenges. Because herbs can act as a tonic and provide a “normalizing effect" on the nervous system, stabilizing and enhancing mental function. Because herbs work naturally and gently to support normal digestive tract function. Because herbs have been shown to restore the body's balance and help the body perform at its vital best. Comprehensive formula: Our unique multi-herb approach to the formula provides broad, synergistic effects of the herbal constituents, optimizing their ability to promote mental performance and acuity. Herbs work together to complement and enhance effectiveness. Ginkgo − leaf (Ginkgo biloba) Promotes circulation. Supports concentration, alertness and healthy memory function. Lengthens attention span. Antioxidant activity protects against oxidative damage. Gotu Kola − leaf (Centella asiatica) Supports the functioning of the circulatory system, promoting alertness, attention span, memory and concentration. Mild anti-stress properties are thought to be especially helpful to promote nervous system functions and lessen the effects of fatigue. Red Sage − leaf (Salvia officinalis) Strong antioxidant properties also support the circulatory system. Supports positive mood and mental clarity. 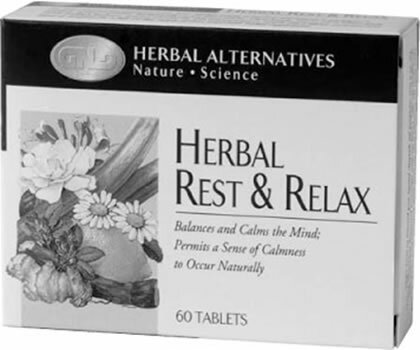 Helps promote alertness, memory function and the ability to concentrate. Rosemary − leaf (Rosmarinus officinalis) Supports adequate blood circulation and provides antioxidant activity. Historically used to assist memory function. Sweet Basil − leaf (Ocimum basilicum) Complements the effectiveness of rosemary and gotu kola, in support of nervous system functioning, especially in response to exhaustion or other stress, promoting mental calmness, clarity and steady mood. Thyme − leaf (Thymus vulgaris) Strong antioxidant properties that support the proper function of the circulatory system. Promotes vitality, helping to offset exhaustion. Skullcap − flower (Scutellaria laterifolia) Restorative for the nervous system; helps to allay anxiety and stress.